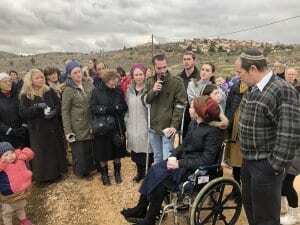 On Friday, on a windswept mountainside in Israel’s Biblical heartland, an extended family, united in grief but strengthened by faith assembled to plant a forest in the memory of a murdered baby and an innocent soul. Amiad Yisrael, son of Shira and Amichai Ish-Ran was perhaps Israel’s youngest victim of a more-than-century long conflict with the Palestinians. 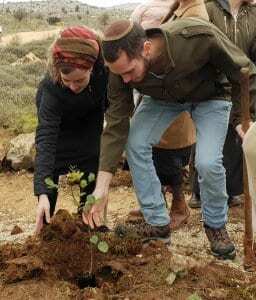 They were joined by family members, friends and residents from the Ofra community, in addition to representatives from Israel365 to plant 300 trees.